That’s why we talk at conferences. That’s why we hold meetups. That’s why we teach on this blog or write guest posts. 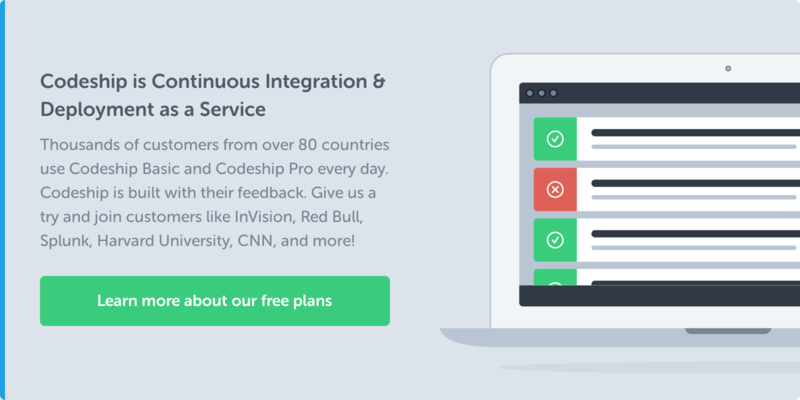 And that’s why we put all our efforts into building the simplest, most intuitive and best product for Continuous Deployment out there: The Codeship. Our team has an inherent belief in agile software development. Continuous Integration and Continuous Deployment are perfect for enabling quick iterations and extremely fast feedback cycles. But not only are they great for software engineering, they also make a whole lot of sense and offer many advantages from a business perspective. This is why Continuous Deployment IS the way software AND products will be built in the future. Yesterday, May 30th 2013, we made one more decisive step into bringing Continuous Deployment to everyone. Together with Abby Fichtner (aka. the infamous @HackerChick) we organized a meetup in Boston’s Microsoft New England Research and Development Center to talk about Continuous Deployment. We invited some of the best engineers working in that space. Dan Rowe from Etsy joined us talking about the processes him and his co-engineers are using in one of the most innovative and most respected companies from an engineering point of view nowadays. Etsy frequently blogs about their development process and their technical setup on their awesome CodeasCraft blog. Dan told us that you have to be confident in your system. But you will see the benefits very quickly. One being for example that every new engineer is able to deploy on their first day. He also gave great insights into how Etsy tests and deploys. Amos Benninga is Chief Architect at former TechStars Boston 2011 company GrabCAD and explained what continuous deployment means for a team working in three different time zones. At his company every developer gets the power of Continuous Deployment from day one. And they use this power. He further talked about GrabCAD’s keymetrics and what their definition of “Getting started in 2 minutes” is. Ken Eimer from insightsquared told us about their 2-week-sprints and what it means for his company when a feature is “delivered”. He explained that getting code into production frequently and quickly is a major factor in making engineers happy. And happier engineers are better engineers. At insightsquared a feature is “done” when it’s verified and in production. It was awesome to see that the one thing these three great engineers, working for prospering and very successful companies in different spaces, had in common was Continuous Deployment. They may use tailor-made processes for their company’s specific needs, but they prove that Continuous Deployment can be implemented into every company. And every company should do it, as it makes them faster, better and happier. The advantages are not only clear to see for their engineers but also for their customers who for example can report bugs and see them resolved really quickly. Darragh Curran from Intercom touches upon that fact in his great blog post about shipping being your company’s heartbeat. How do you develop your software and your products? 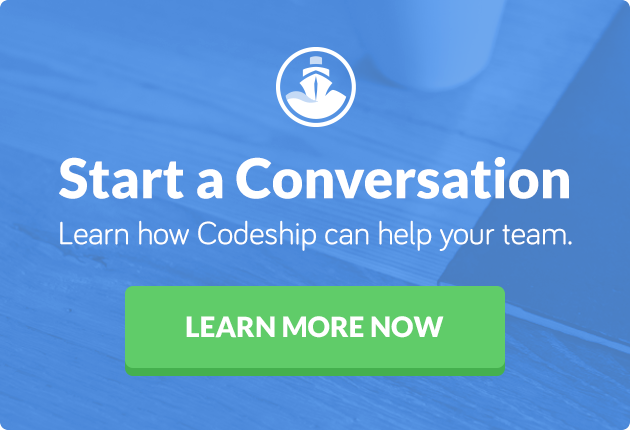 Did you make the switch to Codeship yet? Let us know your stories in the comments so we all can learn from each other! We uploaded some pictures of the event on our Facebook page. You can find them here.